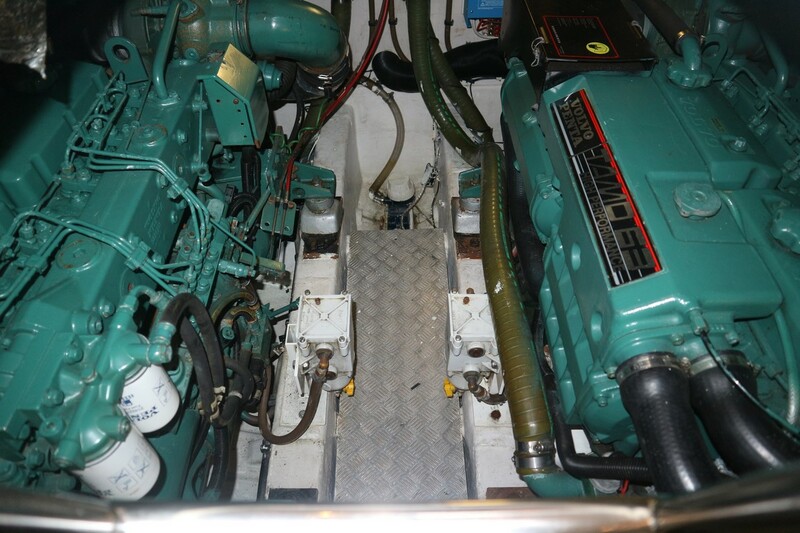 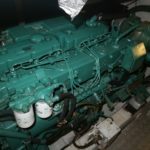 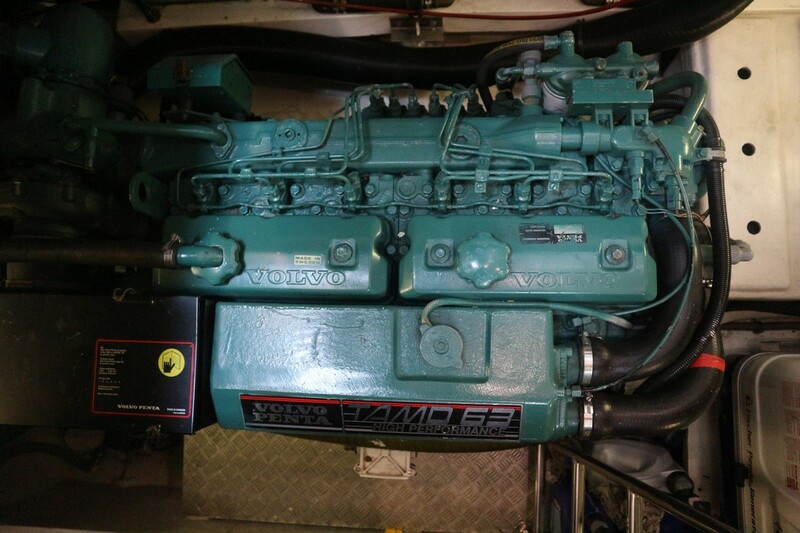 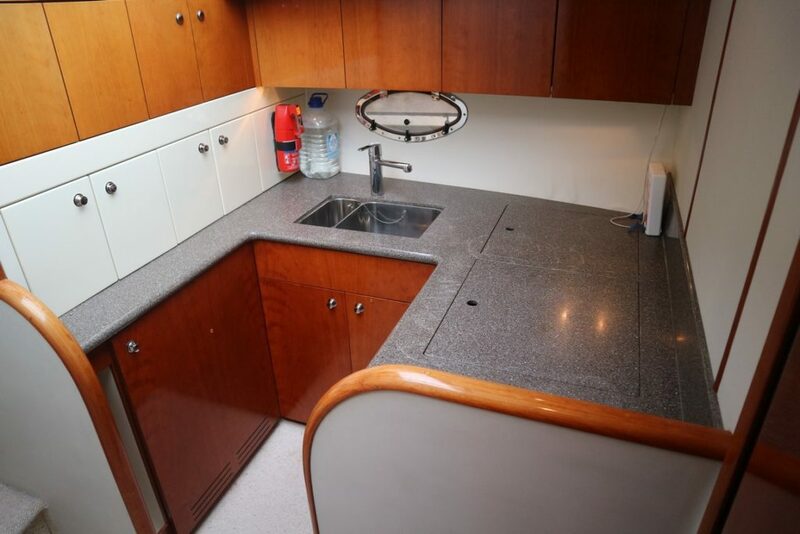 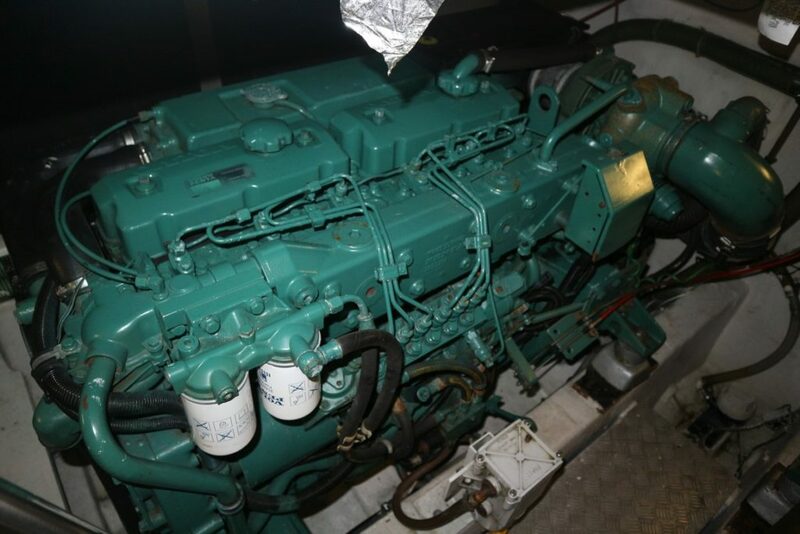 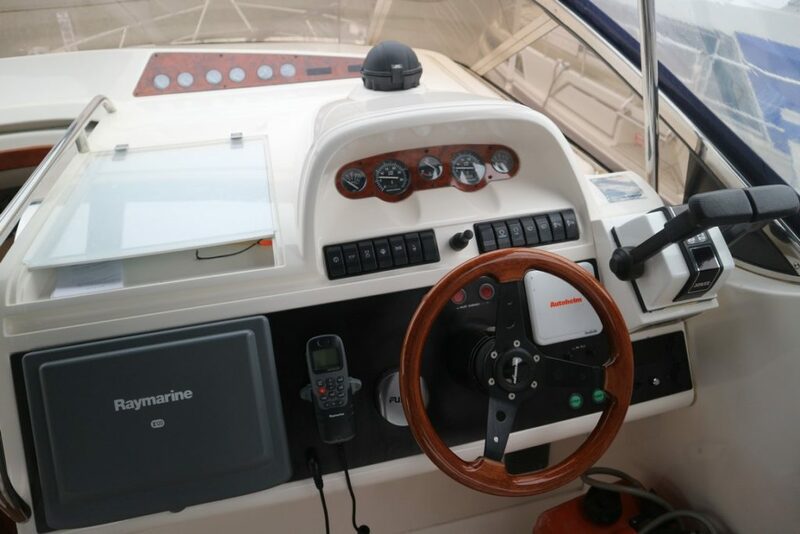 LOA (Metres/Feet): 13.11m / 43' 0"
Beam (Metres/Feet): 04.09m / 13' 5"
FAIRLINE PHANTOM 43AC – Built 1997 (Commissioned 1998) – Powered by twin Volvo TAMD63P 370hp diesels. 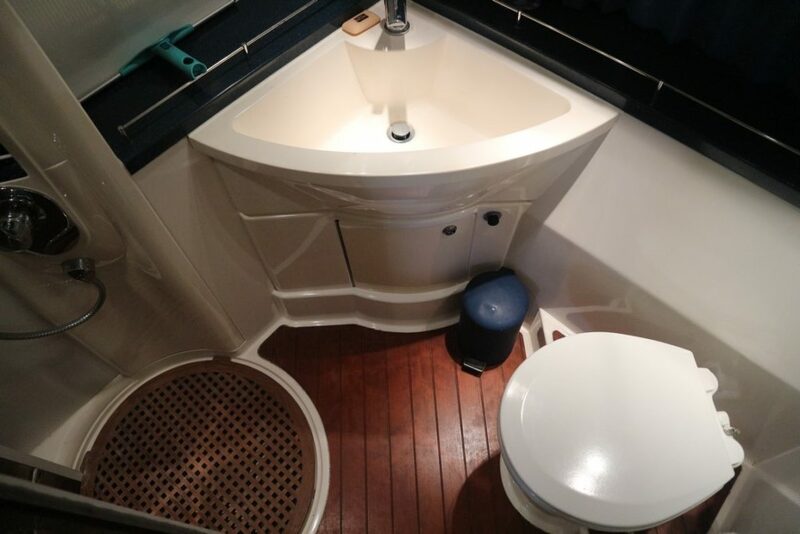 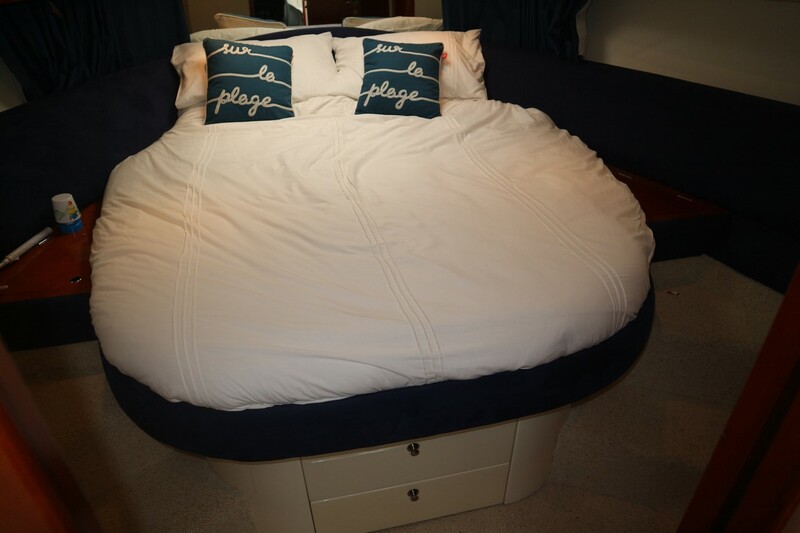 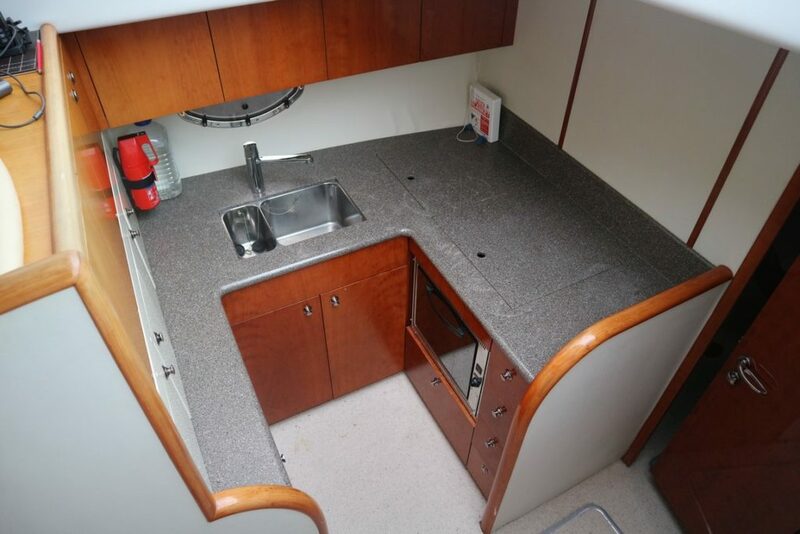 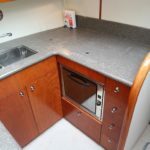 6 berth accommodation offering two good sized island doubles with two toilets and two showers. 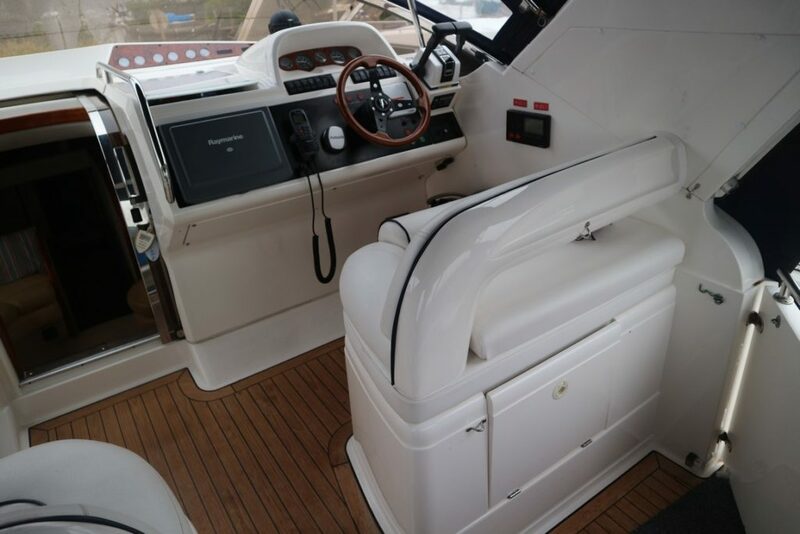 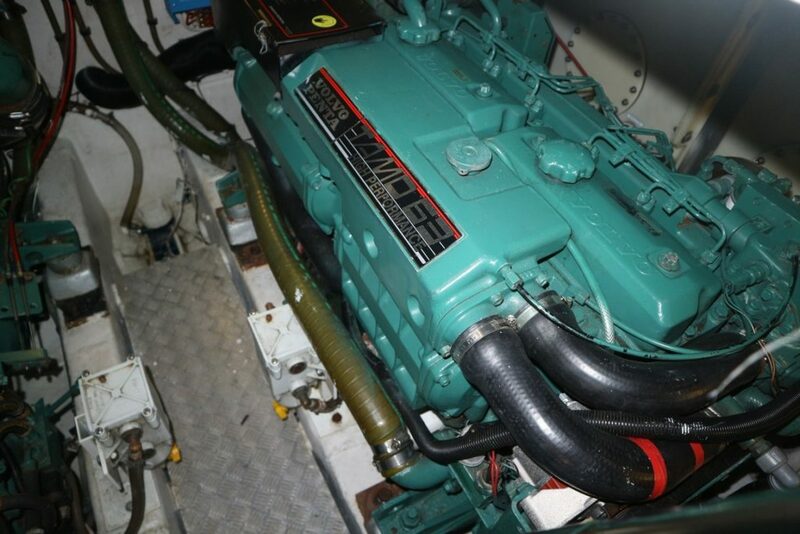 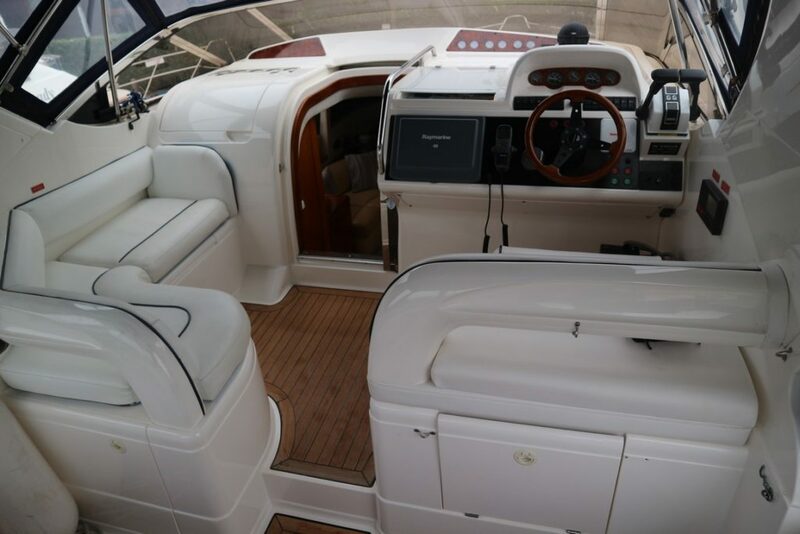 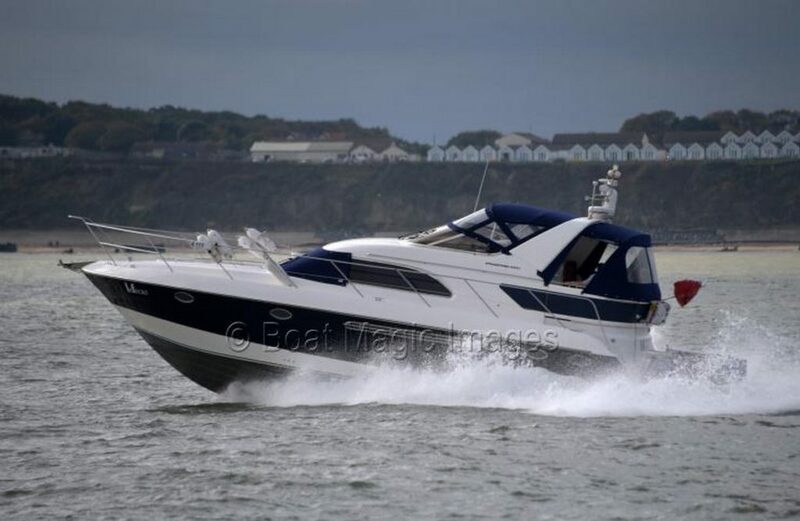 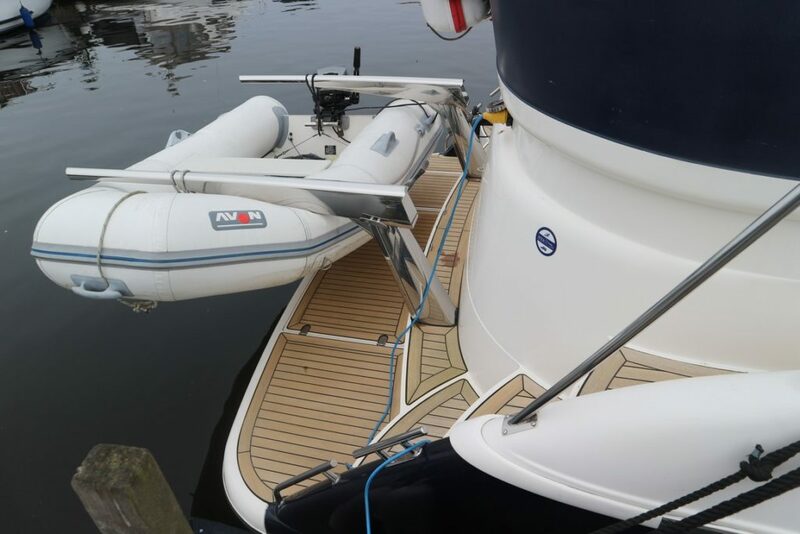 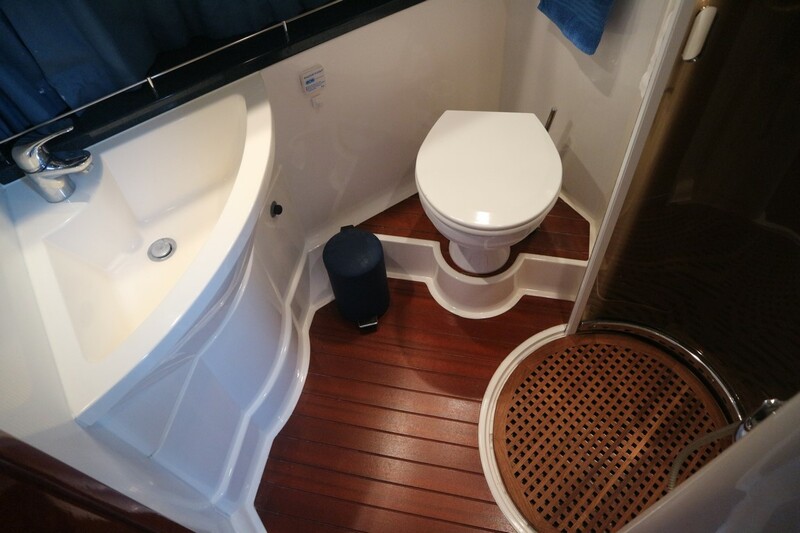 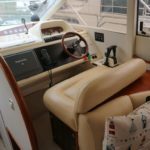 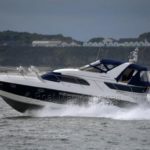 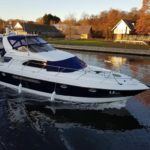 Specification to include; Generator (New 2015), bowthruster, warm air heating, trim tabs, electric windlass, holding tank to forward toilet and a full range of navigation equipment including updated 4kw Raymarine digital scanner. 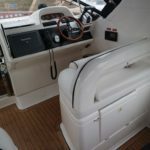 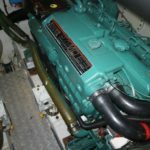 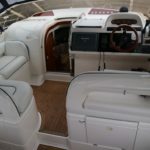 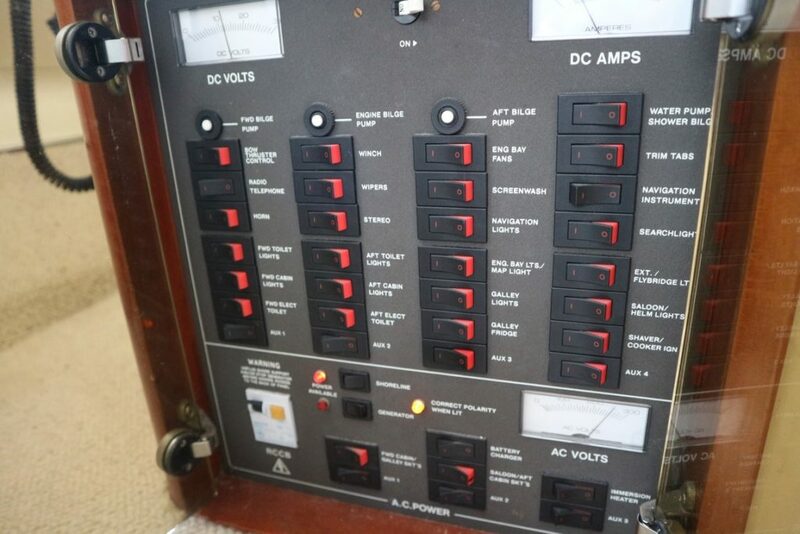 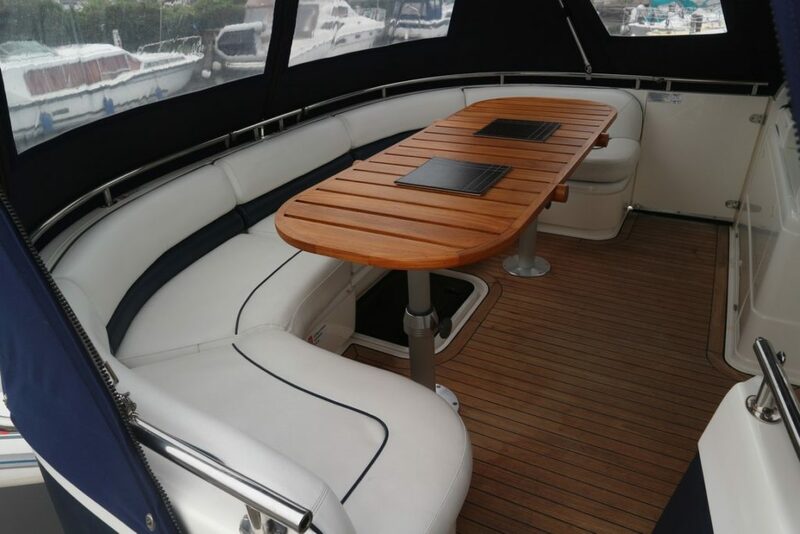 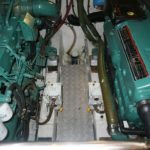 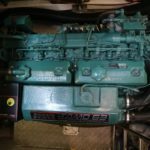 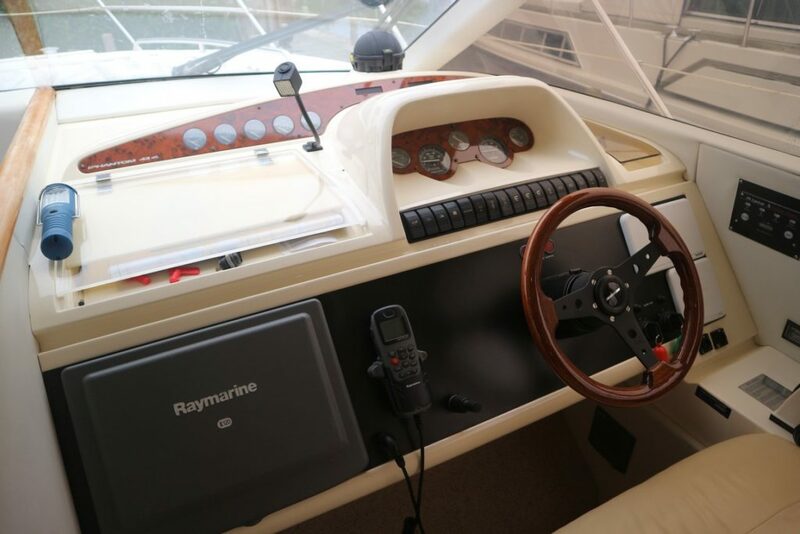 No expense spared when maintaining and upgrading this vessel by her current meticulous owner making her present as a very fine example of these much sought after Fairline aft-cabin cruisers! 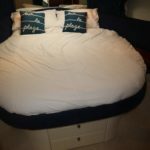 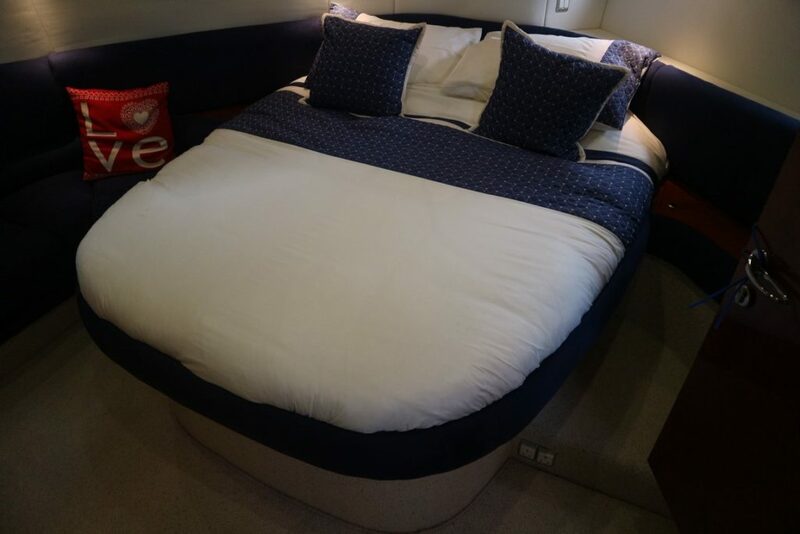 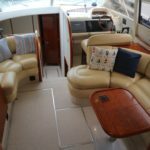 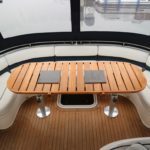 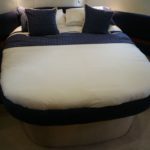 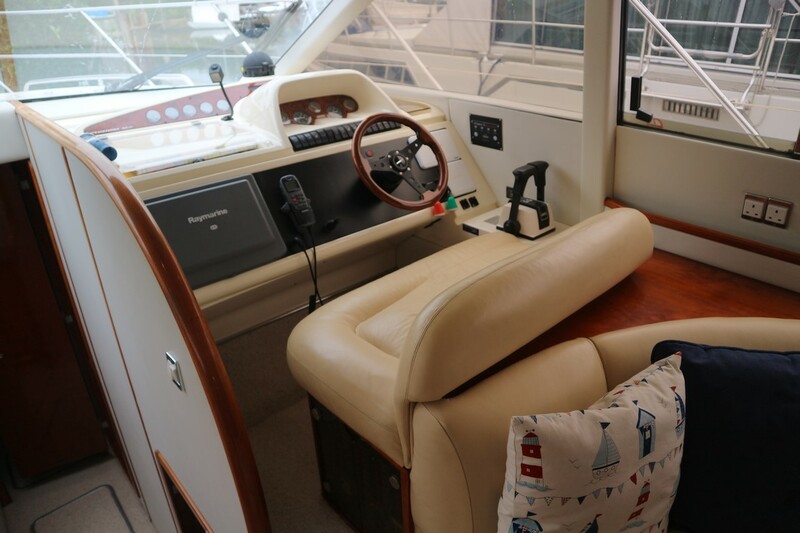 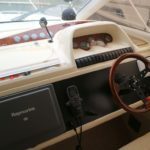 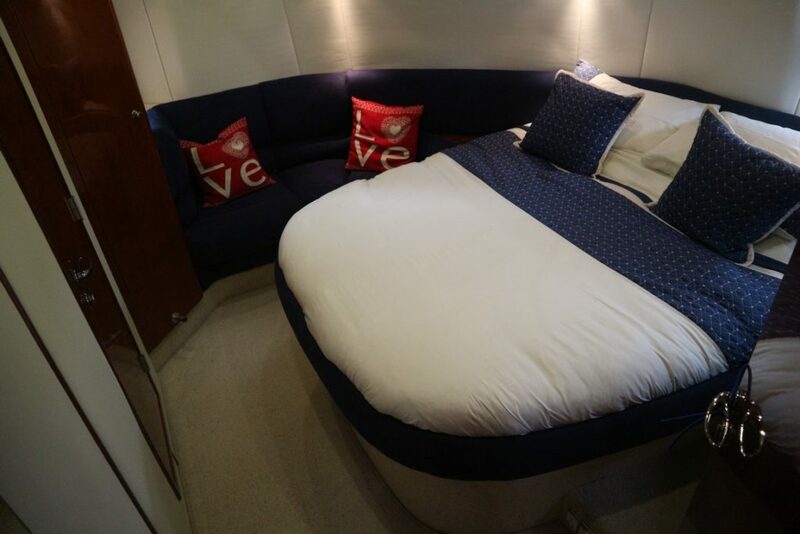 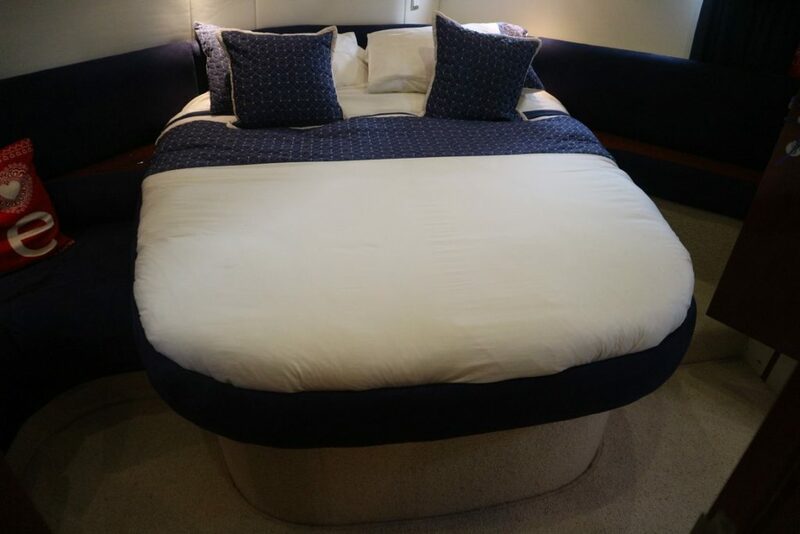 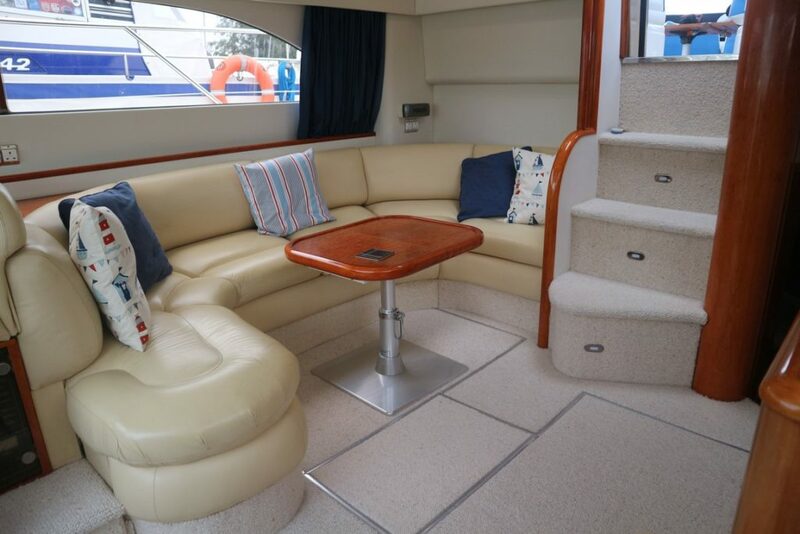 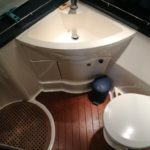 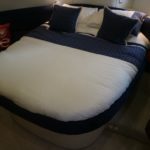 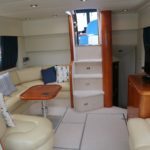 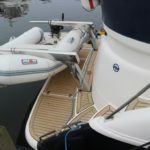 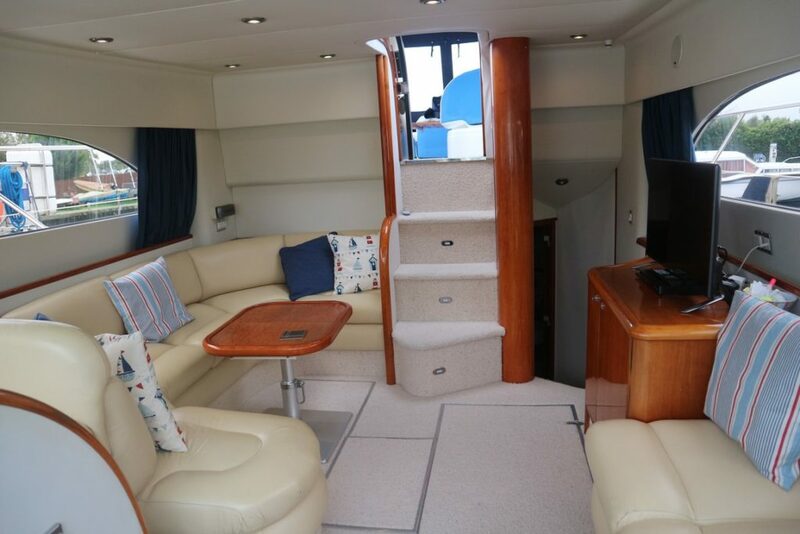 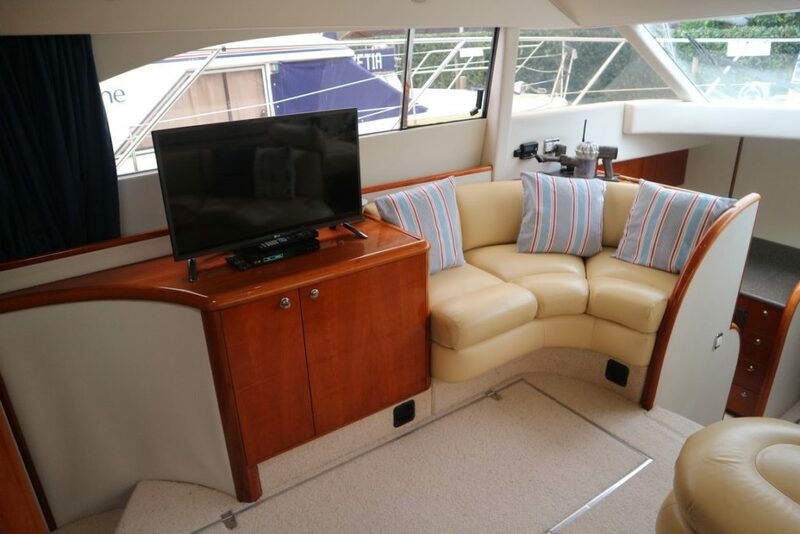 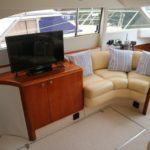 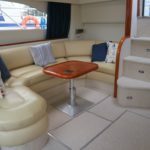 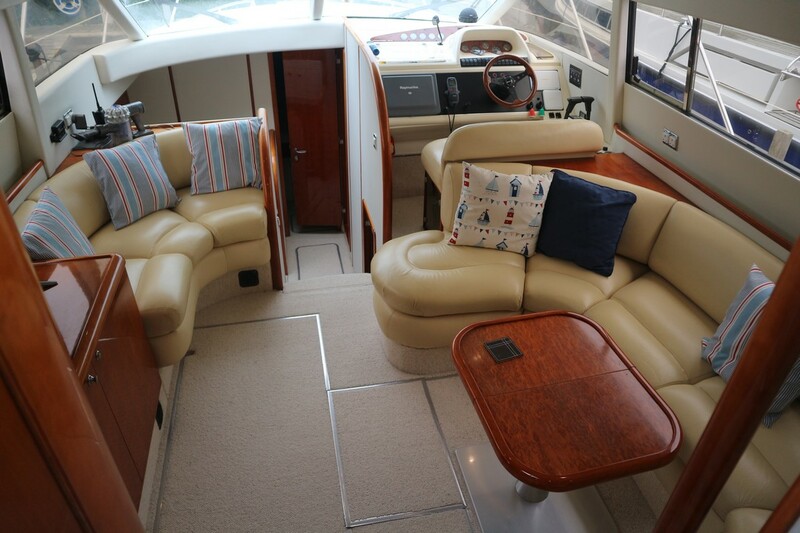 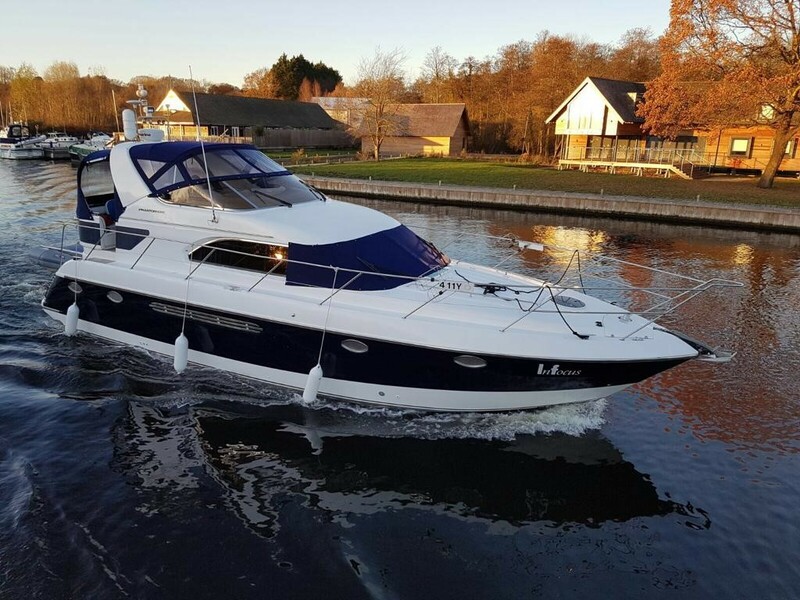 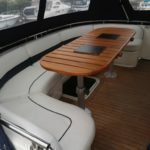 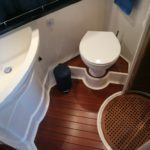 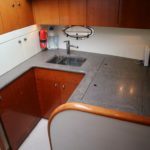 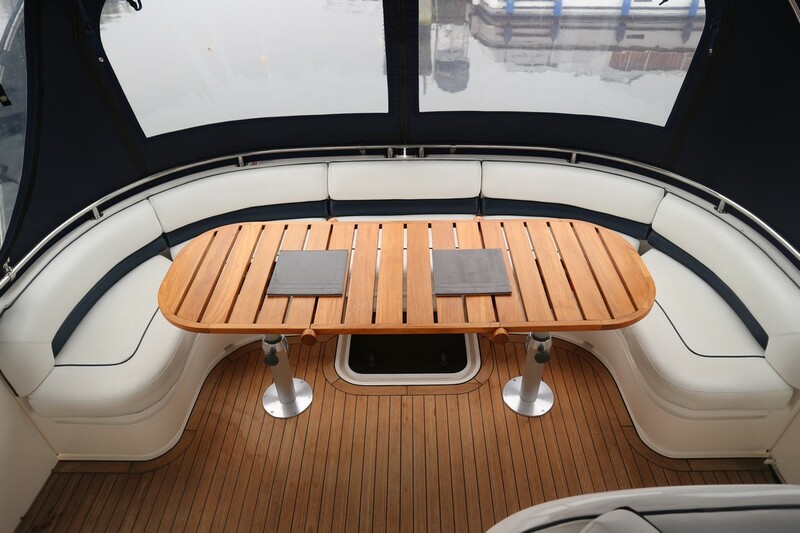 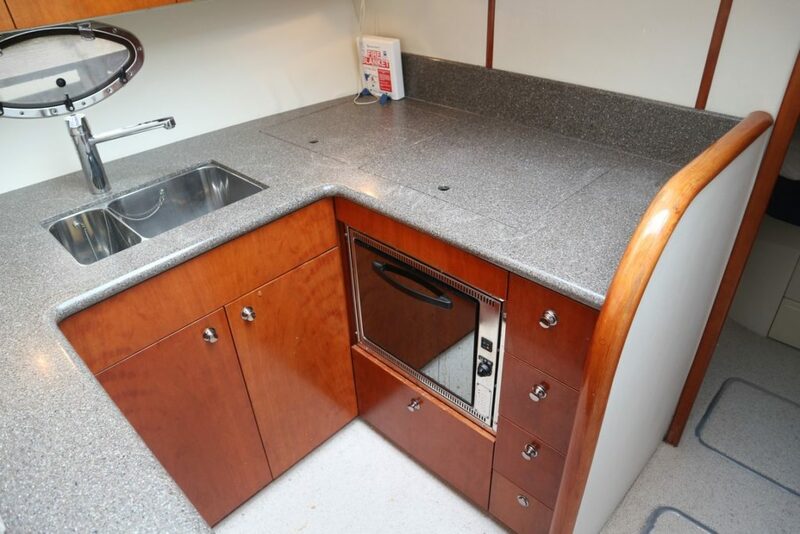 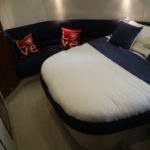 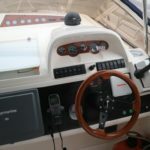 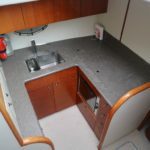 Used by current owner for a mixture of inland and offshore cruising to include the Norfolk Broads, along the east coast and two trips to Holland.